Alan Greenspan warned that stocks are in a bubble and bonds are in a bubble on Bloomberg TV on Jan. 31, 2018. Are you aware that Social Security has been underwater since 2010 and is predicted to run dry in 15 years? Did you know that debt is higher than ever and asset bubbles are too? and have outperformed the bull markets in between. which is home to the world's largest telescope. Please bring $40 cash to cover the tour and the sack lunch on Oct. 18, 2019. The last two times U.S. stocks went 8 years without a correction, most people lost more than half of their retirement. On Feb. 5, 2018, Wall Street saw the biggest point drop ever -- 1,775. Are you prepared for the next downturn? It is time to invest in Natalie Pace’s time-proven budgeting and investing strategies. 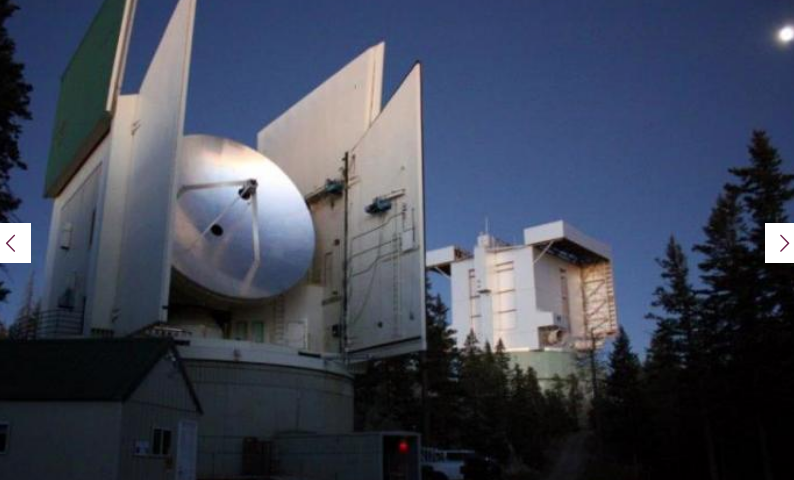 An adventure tour of the world's largest telescope viewing the Milky Way Galazy (10.12.18). Vision Quest for a dream-come true life (complete with time-proven blueprint). Learn how to put your money where your heart is and profit, and protect the planet. You deserve to heal. You deserve solutions. You deserve the truth, not sales-speak. You need a plan that protects you from downturns and performs in the heydays. The Mt. Graham International Observatory located in Safford, Arizona. No cancellations after May 31, 2019. No refunds. Processing fee of $295 per attendee will be charged for cancellations before May 31, 2019. The ABCs of Money was in the top 15 of its vertical on Amazon for 3 years, offering debt reduction strategies and smarter energy choices that transform individuals out of struggling to survive to living the life of your dreams. 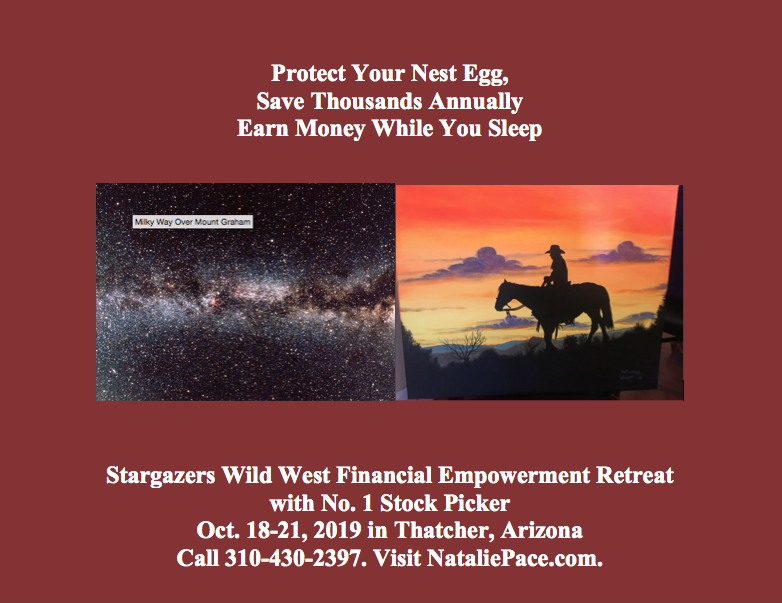 PRIVATE PROSPERITY COACHING, one-on-one with Natalie Pace: Oct. 22, 2018 (Call 310-430-2397 for pricing and to reserve). We also recommend that you stay over on Oct. 22, 2018 to visit a natural hot mineral springs spa! It's time to get The ABCs of Money that we all should have received in high school, from the most trustworthy source on the planet. These retreats often sell out during the Early Bird pricing period. Call 310-430-2397 to register NOW! REGISTER BY JUNE 30, 2019 TO RECEIVE THE LOWEST PRICE AND A FREE PRIVATE, PROSPERITY COACHING SESSION (VALUE $300) WITH NATALIE PACE.